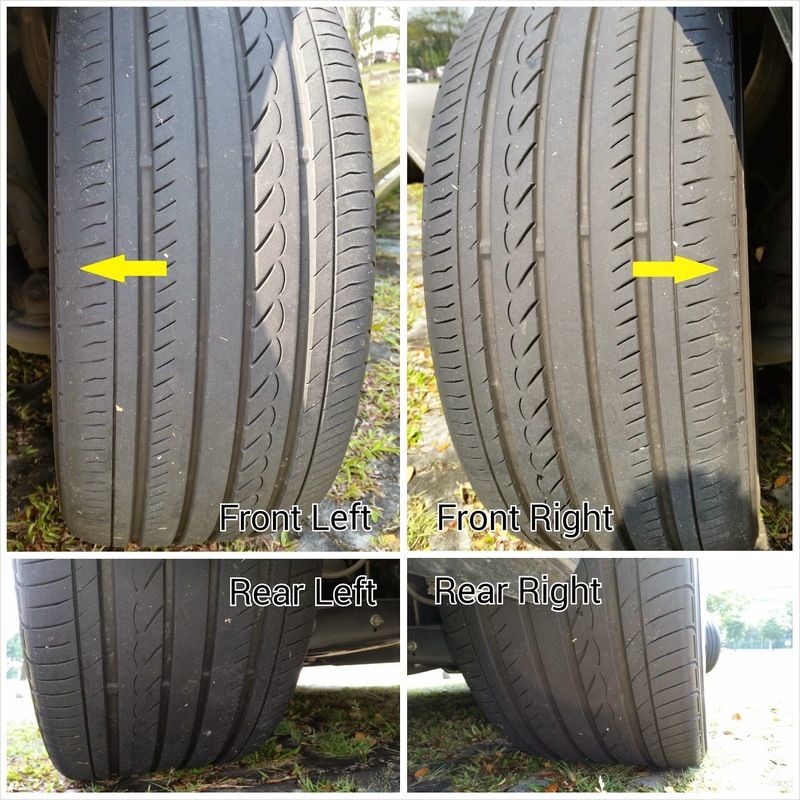 However conservative your driving style may be, it is almost inevitable that tyre replacements come quicker especially when you are on a staggered set-up. Now the facts after over 30,000 kilometres of tarmac swallowing. Honestly, at this rate of wear, I do not feel any significant decrease in performance or road holding. Corners and bents could still be negotiated with confidence even when pushed at higher speeds (deliberately achieved just above 80km/h (dry conditions) down a full loop on exit of highway before writing this with no tyre screeching). In wet conditions, hydroplaning never occurred till now under raining conditions and steering pull was minimal even hitting puddles at relatively cruising speeds on highways. As I mentioned before in my previous article, the road noise for the Advan dB v551 at such low profiles will not be as quiet as the regular 196/65R15. Having said that, the tyres can only get noisier after fair wear and tear. Obviously. this is expected so road noise did get significantly higher after 15,000 kilometres or so. Today, I find it significantly louder even in my Lexus. So once again a gentle reminder that if silence is the key, getting profiles like this would have you changing your slicks out really often. This could prove to be quite painful considering an equivalent replacement would cost you approximately S$2000 and above for a set of 4 slicks from a renown brand. I suppose I could further stretch the life for another 5,000 kilometres on the odometer with another swap to make the inner of the tyres the outer (left to right swap). Moreover, the wear rate at the rears were very even as there is little camber settings. Just remember safety is paramount and I always believed that no matter how much money you may want to save, tyres and brakes should never be compromised because they keep your car on the road.